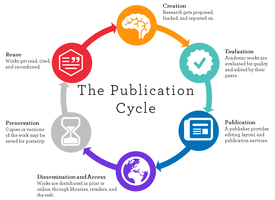 Scholarly Publishing is the system through which research results and other scholarly writings are created, evaluated for quality, disseminated to the scholarly community, and preserved for future use for other scholars, learners, and the public good. (Image courtesy the University of Winnipeg.) The system is in a state of rapid flux and evolution, driven by new information technologies, low marginal costs of online distribution, and changing reader expectations. Open Journal Systems for journal hosting. Evaluating journals, including how to determine whether a journal is reputable. Finding appropriate open access repositories, including information about UW's Institutional Repository, ResearchWorks.